It is that time of the year when everyone reflects on the year’s events, accomplishments, set-backs, and sets goals for 2015. Let’s take a look at some of the memorable events and posts of 2014. On January 23 V started on the insulin pump. After the initial adjustment, I can say that it has been a transformative experience. Yes, it can be a pain, literally and figuratively. However, going from multiple injections every day to one injection every 2-3 days is amazing. It’s made BG management so much easier, as we are able to bolus and correct frequently and intervene in the middle of the night without V waking up for it. It’s allowed V more freedom and independence, along with more responsibility of course. In April, my husband and I attempted to go on a date. It turned out to be an epic fail. We still laugh about it sometimes. Because if you can’t laugh at it, what good is it? Since then, we’ve managed to go out a few times and even have V on a number of sleepovers, without major issues. So we are getting over our little trauma, I think. In May I wrote this letter of gratitude to our school nurse. We are so incredibly lucky. Not all school nurses are created equal and we’ve heard many horror stories. Our nurse is amazing. She is knowledgable, supportive, caring, and is an advocate and a friend. She made V’s transition to school after diagnosis, and her subsequent experience in school as good and normal as it can be. Words fail to adequately express our daly gratitude. In June, V went to a slumber B-day party and managed her Diabetes and gluten-free diet on her own, with help from her BFF. While she clocked in a record low, she did a great job and had fun, and we all survived the experience. In July we launched our Facebook Page, where I’ve been posting on regular basis. Thank you to those of you who “liked” the page and follow our adventures. If you haven’t done so, please check it out, “like” it and share with others, so that we can spread awareness about T1D and Celiac. In August I wrote about our summer trip and my epic fail to pack properly. It was so ridiculous that it was rather hilarious. Again, as long as it ends well, we might as well laugh. 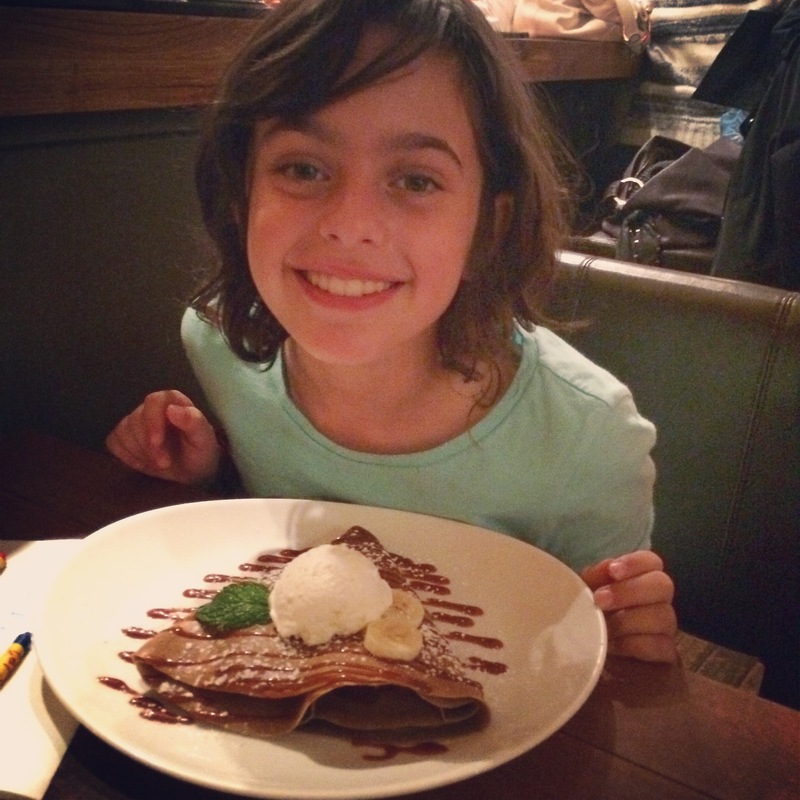 In October, we got V’s Celiac blood panel done to see how her healing is progressing. After a little over a year of staying on a strict gluten-free diet, here numbers were “significantly lower but still above normal”. Good news, bad news, normal news? After consulting further with the GI, she clarified for us that it can take up to two years for numbers to normalize. We will have to repeat the test in a few months to make sure were are still on the right track. We also celebrated a milestone of 6 months at A1C of 7.0! November was a busy and special month – Diabetes Awareness month. We also traveled to New York, this time packing successfully, and also successfully navigating different apps and websites to locate delicious gluten-free meals all around the city. I also made a DITL post about our ordinary T1D and Gluten-Free life in this blog and posted daily on the Facebook Page. In December I wrote about our adventures with rage bolusing. This month has been rather interesting, given disruption of schedule due to school break and lots of holiday eating. We keep rolling with the punches and adjusting as we go. The only constant is lack of stability, and that we’ve come to accept long ago. Thank you everyone for reading this blog, following us on Facebook, and helping us spread awareness about T1D and Celiac. Here’s to happy and healthy 2015! What is it about special events that compels me to mess with pump settings more adventurously than any other time? Perhaps it’s remembering that it won’t be a fun experience for anyone if the CGM loudly alarms in the middle of a performance? That it would be a real pain in the neck to rummage in the backpack in the dark, check BG and treat a high or a low? Or that it would be nice to avoid having to deal with Diabetes for a couple of hours or so and just enjoy the show? Well…HA. 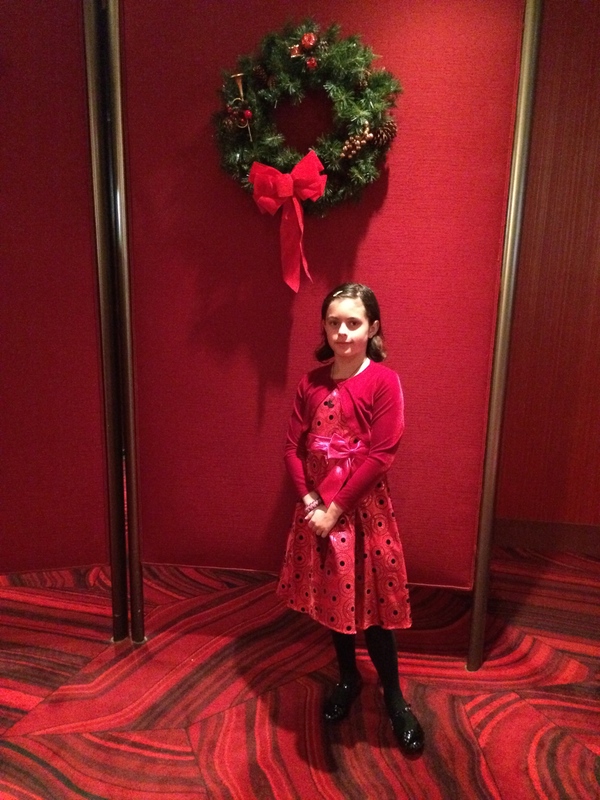 V and I head out to watch the Nutcracker. It’s a fun girls afternoon out for us, we are all dressed up and excited. We pull into the parking spot and I have V check her BG. She is high, well over 300. It’s been a weird day from the morning, we can’t seem to beat BG into submission no matter what. She is at the tail end of a cold, which exacerbated her normally very mild asthma, so she was recently put on a different inhaler, and we are pretty sure it’s finally caught up with her and is wreaking havoc with BG. I look at the numbers, cringe when I think of CGM alarming in the middle of the ballet, and go for the rage bolus. I override the pump and administer 1.5 times as much insulin. But wait, I don’t think it’s enough. I increase her basal rate by 50%. That’s ought to do it. V will be sitting down for at least two hours, so even though it’s a lot of insulin her BG should just normalize, and there’s not a change she’ll drop too much or too fast, I think. We haven’t been able to make a dent with less aggressive measures all day, so what could possibly go wrong? We get into the theater and find our seats. I keep an eye on the CGM. She’s a hair under 300 and going down fast. Success! Or not? The show starts. It’s time for me to put the CGM away, relax and enjoy the ballet, right? Yeah, right. I have to keep an eye on that CGM now, because she’s still dropping, and fast. So far so good, she could stand to lose nearly 200 points. But things are unfolding rather quickly. By the time the party scene is over she’s under 200 and still dropping fast. By the end of the battle scene she’s under 150 and still dropping fast. Quickly I cancel the increased basal rate but it’s too late. The rage bolus is doing its thing and BG continues to go downhill. Snow scene, she’s fast approaching 100 and still dropping fast. By the time the first act is over she is under 100 and still dropping. Intermission could not have come at a more perfect time. We get to the lobby and test. 82 and still going down, although not as fast as before. Whew, this was close, and V is excited that she gets a treat out of this ordeal. I get in line for concessions and procure a bag of peanut M&Ms. By the time I have it in my hand, CGM is alarming low like crazy. Yes, Deckie, we got it, we are on top of it. V is feeling fine and we are armed with candy. She gets about half of the bag, which is about 15 g. of carbs. CGM continues to alarm and bottoms out at 52. By now we know it’s a waiting game, it takes good 10-15 minutes for the sugar to absorb and even longer for CGM to catch up to the fact that BG is stabilizing. We get back to our seats for act two. I continue to periodically glance at CGM and am reassured when it shows that BG is stabilizing and gradually going up. By the time the show is over V is back to about 140. That was quite a glucocoaster. And by the way, before the second act started I finally remembered that CGM alarm can be set to vibrate only. Duh.